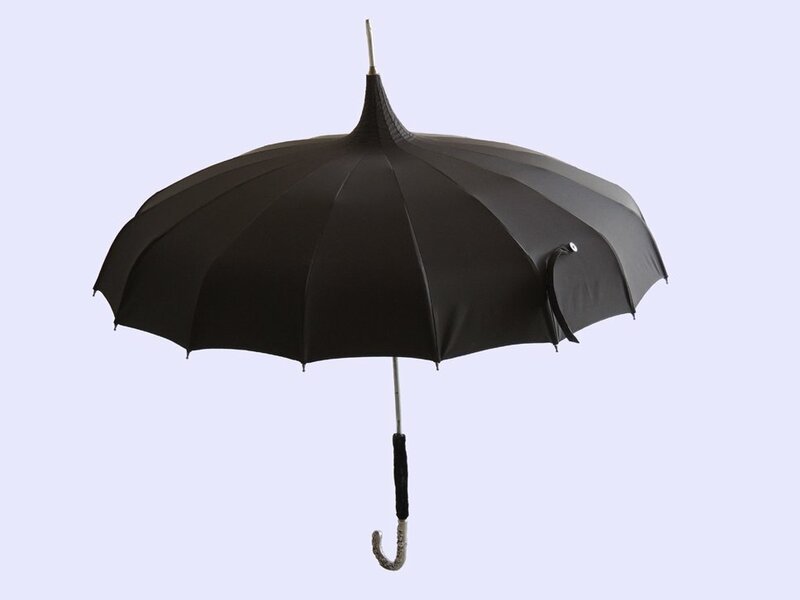 This recovered antique pagoda umbrella is on its way back to its owner in Corpus Christie, Texas, following the installation of a new canopy, by Barrington Brolly. The fabric (polyester taffeta), although not period specific, looks very similar to what would have been the original canopy. 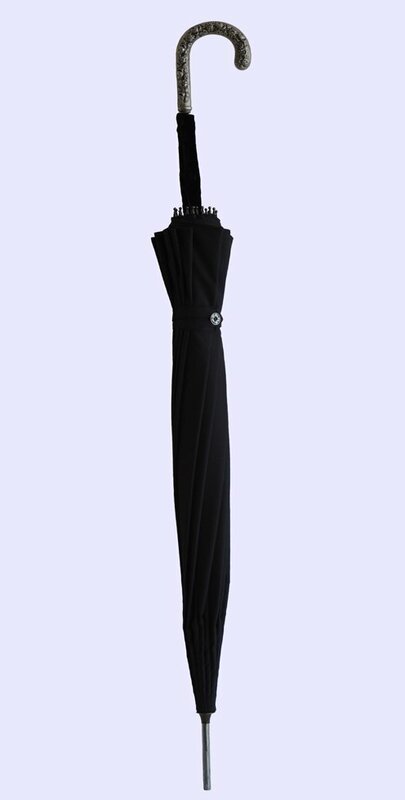 And it is for use in the rain (water repellent). It was also necessary to replace the original top-cap, with a new pagoda top-cap. Of special interest, is the velvet wrap just above the silver handle. 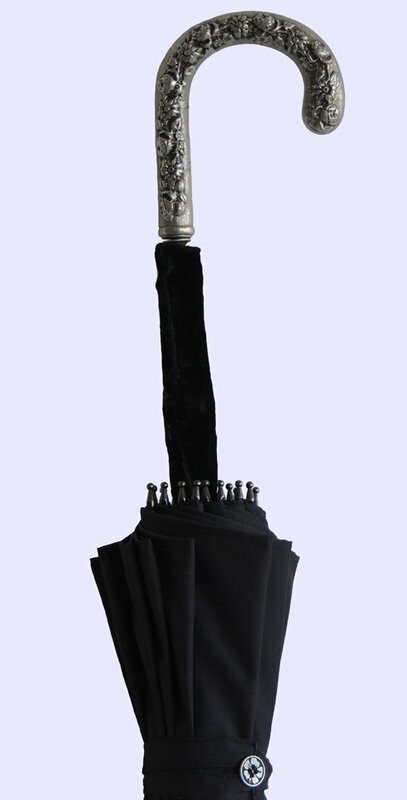 Wonderful attention was paid to antique umbrellas. Definitely not in the mass-production mode of today. Very pleasing to see these being given a new lease on life.